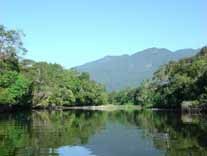 The Bertioga county lies on the northern coast of São Paulo, 100 km from the city of São Paulo, and still possess about 60% of its preserved natural area known as Atlantic Rainforest, with the main rivers: Itapanhaú River its main tributary on its left bank the beautiful Jaguareguava River (23 ° 49’47 .90 “S 46 º 09’48 .20”); Guaratuba River (23 ° 45’04 .22 “S 45 º 53’41 .57”) and the Itaguaré River (23 ° 46’39 .23 “S 45 ° 58 ’10:15 “). The latter is the lesser, without relevant tributaries, but preserved very well. These three rivers form undoubtedly the major basins of the municipality, and all have a similar feature: comes snaking through the sandbank formations from the mountain to the bottom, forming a large bird habitat in the marsh also seen in its two margins. 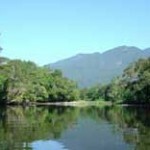 Are rivers that are among the most beautiful in the state of São Paulo, as born in the mountains and runs several miles in Atlantic Forest, where you can observe rare birds like Crypturellus noctivagus (Yellow-legged Tinamou) Leucopternis lacernulatus ( White-necked Hawk), Merulaxis stick (Slaty Bristlefront), Pilherodius pileatus ( Capped Heron) among others. Aside from that river Itapanhaú is great and mighty, the waters of other rivers of these basins are generally clear, transparent and shallow, allowing the observer to see small fish, while listening to the song of the numerous species of forest birds, forming a mosaic of scenic beauty and sounds impressive. There are many parts happily forgotten by investors saga of developmental and / or banned deforestation, where we have been privileged to do from September 2006 ornithological observation visits, traveling mainly trails and navigating the rivers mentioned, what got us annotations and a list of very interesting birds. On the riverfront Jaguareguava, maintain a Canadian canoe for our forays inland, in rivers too small aluminum boats rented motor. 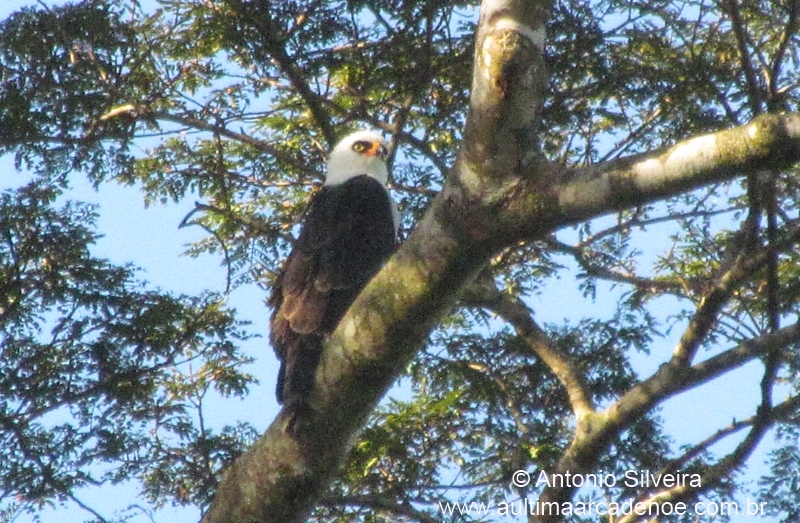 Our studies are designed to observe and raise the avifauna of that region, to check the status of preservation and make allowances for possible suggestions and / or preservation actions, as well as to facilitate the birdwatchers who will attend this rich and beautiful region seaside. We thank biologist Fábio Olmos by the company and help in some of our visits (see list below). 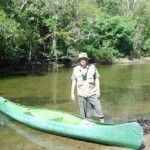 As well as the biologist Marcelo Bokermann (SESC-Bertioga) and guide the company in Edinaldo visit 08/17/2012. So far 200 species of birds found to Bertioga, and 182 for the River Valley Jaguareguava (1), 74 to the river Guaratuba (2) and 69 species to the river Itaguaré (3) and outside these areas, whose complete list follows below, with notes of well locations. Antonio Silveira: last update (organização da pg); 05/12/2011. Last update 29.8.2012. 26-10-2018.